Like most men I do like cars, but no to the point of sitting hours watching a Formula 1 racing event. However, after reading the news about the results of the Hungary race I realized that I was in all possibilities reading about one of the greatest example of what it means to be a Mindful Positive Leader and Individual – MPLI. Often, we are so much caught up in our own universe that we fail to notice examples of PMPLI in everyday life. Obviously some could argue that a Formula I racing event is not an ordinary event, in any case it is just a sport event, but for the purpose of our example of a MPLI it is not trivial as the event happened in one of the most competitive sports, one where success is measured in micro-seconds ahead of the next competitor. Around the middle of the race the Ferrari pilot Vettel who was running in the first place started to have troubles with the steering of this car that compromised his pace. As he was followed by his team-mate Raikkonen, the Ferrari team decided to use Raikkonen as a buffer to protect Vettel’s standing racing points: one point ahead of his Mercedes rival Hamilton. In sacrificing Raikkonen’s chances of winning the race, they increased Vettel’s chance of winning the race and gaining more points for the championship ahead of Hamilton. Hamilton recognized the situation and asked his team to allow him to pass Bottas, his own team-mate running in third place so he could then attack Vettel given that he thought he had a faster pace and could eventually win. This required that Bottas gives Hamilton an opening so he could pass him. He mentioned that he could try to pass Raikkonen and attack Vettel and if he failed he could easily yield back to Bottas who would be 2 seconds behind by then, so that his team-mate would be able to win the third place. 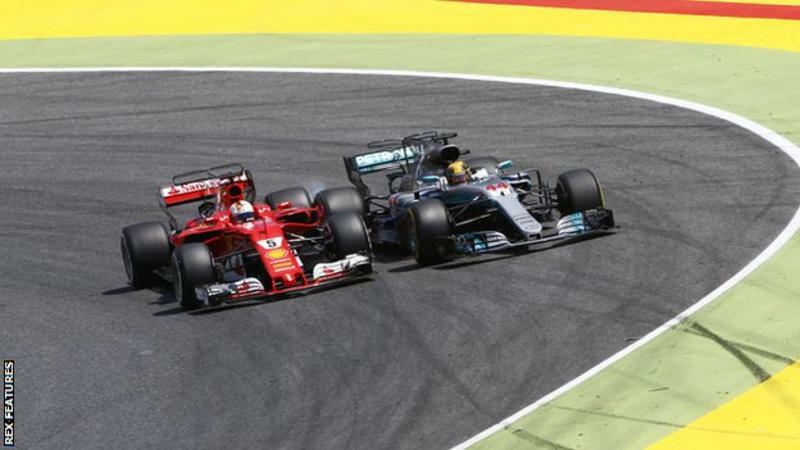 He was allowed to move forward, yet despite several intents he was unable to pass Raikkonen who was driving defensively to protect Vettel, as he himself was under instruction not to pass Vettel although he could have gone faster than Vettel and win the race. Here is where things get really interesting: Hamilton let his team-mate Bottas pass him despite being seven seconds ahead of him, a decision that might possibly cost him any chance of winning the title. In one of my conversation with the late Chris Peterson, one of the founding fathers of the field of Positive Psychology, he mentioned that from his research with people from all over the world, he found that independently of religion, culture, ethnicity, gender, etc. there are three character strengths that people admire the most: fairness, honesty and kindness. In our search of the qualities of the Mindful Positive Leader and Individual we are always looking for what attributes such leaders and individuals should have. In fact we lack a solid definition of what a MPLI is, partially because I don’t think that a monolithic definition will capture the complexity and multi-faceted role of a MPLI. However, Chris’s discovery of these three universally admired character strengths provides indeed a base, insofar as any possible definition of what a MPLI is, should include the three universal qualities Chris identified. In the actions of both L. Hamilton and T. Wolf, Chris’s attributes: fairness, honesty and kindness are fully observable: By honoring their word they demonstrate honesty, loyalty, fairness and kindness towards their team member. And in the case of L. Hamilton and T. Wolf all of this is happening on a real-time basis with very little space for analytical thought in which case one lets the heart speak to enact these values that are in fact colliding with their desired outcome, in this case winning the race. 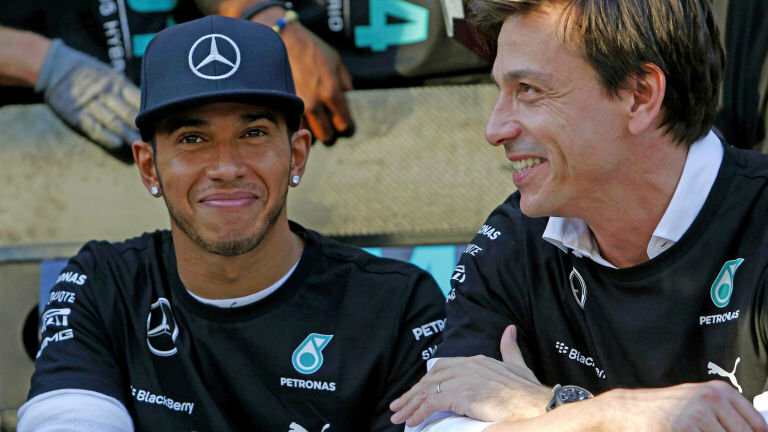 The decision to lead Bottas past on the last lap was, as Hamilton says, “more from the heart. The mind is more cut-throat and every point counts and this is do or die. But my heart tells me the right thing to do is to let him by.” This is the very essence of what it means to be a MPLI, a strong capacity to keep and maintain these universal values in the face of difficulties or controversial situations and still walk the higher ground. It is walking high under enormous difficult circumstances that really defines a MPLI. Well done, Mr. Hamilton and Mr. Wolf! Thank you both for giving us such a vivid demonstration of what a MPLI is. I am visualizing the intense discussions your case will generate in my strategy classes of the Executive Master in Positive Leadership and Strategy at IE University in Madrid, Spain.